Political hero or regicidal villain, Oliver Cromwell still divides opinion nearly 400 years after he took control of England, having signed Charles I’s death warrant in 1649. The son of a country gentleman, Cromwell was born in April 1599 at Huntingdon, spending his formative years in Cambridgeshire. In his thirties he inherited his uncle’s estate near Ely and was responsible for collecting tithes (taxes) and harvests in aid of the church. 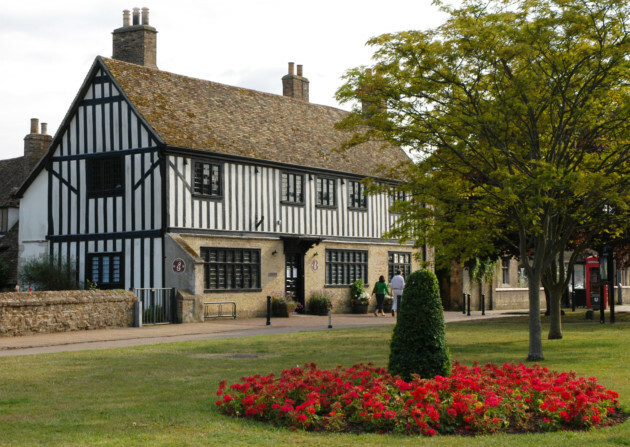 Cromwell and family moved into one of his newly inherited properties, a 13th-century house at St Mary’s Street, Ely in 1636 and aside from Hampton Court Palace this is the only surviving residence of the antihero. Here, his Protestant views and concern for the underdog earned him the title ‘Lord of the Fens’. He publicly stood against Charles I’s unreasonable taxes and disregard of parliament, chiding him for his Catholic sympathies. Civil War was inevitable, dividing Parliamentarians from royal supporters in 1642. Cromwell gamely took up arms and became a revered military leader for the cause but his merciless actions against Catholics, especially in Scotland and Ireland will unlikely ever be forgiven. Today, the house doubles as Ely Tourist Information Centre, continuing in the spirit of serving the community, Cromwell might say. Visitors can follow an audio tour through nine principle rooms including Kitchen (see the eel pie), Civil War Room (chilling battle gear) and Study (where a life-like Cromwell writes by candlelight).